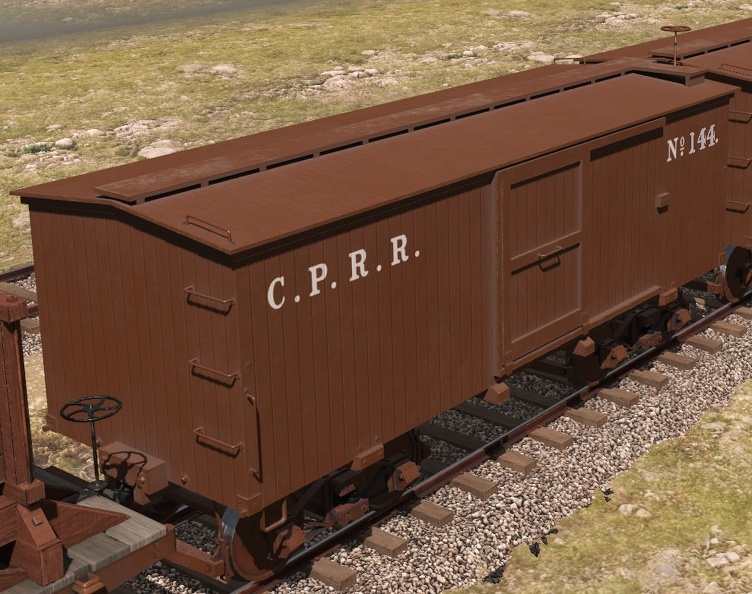 The CP didn't get any 'regular' cabooses until 1870, after the completion of the Transcontinental Railroad, and instead relied on these boxcar conversions. Thanks, Harold - glad you like it! Yeah, it's a N3V bug. I filed it quite some time ago, but I'm assuming they have more urgent matters on their plate.